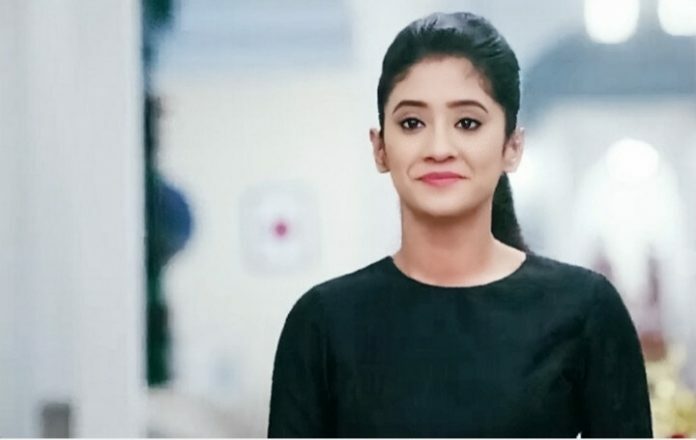 Star Plus Yeh Rishta Kya Kehlata Hai. Dadi unexpectedly breaks down and apologizes to Naira. She feels she has done a really bad thing with everyone. Naira asks her not to apologizes. Kartik asks Dadi to accept Naira’s suggestion. She wants Dadi to accept Gayu and her child as well. Kartik tells Dadi that Naira didn’t differentiate between two families. Dadi praises Naira for being a good human being and qualifying in every role. Naira tells them that Samarth and Gayu didn’t go anywhere, they were just waiting for Dadi’s decision to change. Dadi gets happy that they didn’t elope by risking family’s name. Dadi realizes that Kartik and Naira lied to convince her. Dadi apologizes to Gayu and accepts her child into Goenka family. 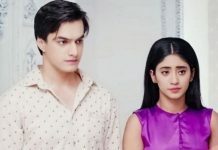 Kartik doesn’t want Naira to take any tension. The families get happy for Samarth and Gayu. Naira thanks Purushottam for all his support. Purushottam tells her that her thinking was right and he had to support her. Ila praises her dad for being so understanding. Purushottam asks Naira to get involved in Ila’s project. Naira and Kartik sing and dance to spread more smiles in the ceremony. Samarth and Gayu get engaged. Kirti talks to Gayu regarding accepting Samarth and the new forming relation. She asks Gayu to try her best and find happiness in her new life. Gayu doesn’t think that she can forget Vivaan. Kirti asks her to give equal chance to Samarth and not compare him with Vivaan. She is sure that Samarth will try his best to keep her happy. Manish asks Dadi why did she agree unwilling, she should accept Gayu with all her heart. Purushottam tries to get closer to Naira once again. Naira tells Gayu that some love stories begin after marriage. They all wish Gayu for her new beginning. Mansi finds Purushottam chasing Naira and stops him. She reveals his true face to the family, and stuns the family. Dadi tries to shut up Mansi. Mansi reveals to the family that Purushottam is a disgusting man. Mansi vents out her frustration on Purushottam while daydreaming. She wishes to expose him in reality. Star Plus Yeh Rishta Naira in danger. Meanwhile, Kartik and Naira spend time and romance. He asks her to do her work, until he tries to find any relief factor for her. He confesses love to her. Kartik helps Naira on her first day of work in Ila’s project. They together plan Samarth and Gayu’s mehendi function. Naira feels lucky to get his support. Kartik encourages her that she can do anything and progress high in life. Mansi worries when Purushottam takes Naira with him for the presentation. Naira falls in his trap. Naira too senses his evil intentions.